Residential rents across Dubai registered no change during Q1 2018, according to property consultancy Cluttons. This helped to improve the annual rate of change to -3.1 per cent from -7.7 per cent at the end of last year. This marks the first stable quarter for rents in Dubai over the last 2 years. On an annual basis, the worst performing segment of the rental market was high-end apartments in Downtown Dubai, Dubai Marina, Palm Jumeirah and the DIFC, where rents are down 4.8 per cent on this time last year. The Dubai rental market is most likely to see a flight to quality and become 2-tiered, once new supply starts getting delivered in the next 3 years. “The growing volume of off-plan investment stock destined to be made available for rent after handover is likely to pose challenges in the future, particularly if all delivery timelines are met. The ability of the rental market to absorb a high volume of new stock will likely be tested over the next 3 years. Newly completed rental properties will command the attention of tenants while older and tired secondary properties will register rent falls,” says a Cluttons report on Sunday. 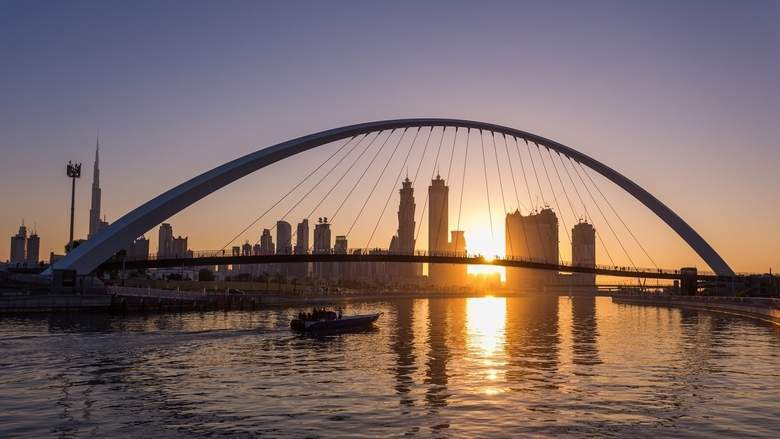 The consultancy estimates that rents in Dubai will slip by up to 5 to 7 per cent during 2018, with similar declines in 2019 as rate of handovers gain pace. Majority of sales appear to be taking place among international investors, who are likely to return the units to the sales market prior to completion or attempt to rent them out after handover. For those unable to sell their off-plan purchase for a profit on completion, renting out units is likely to be an attractive option, which will add to the downward pressures in the rental market. There is a distinct lack of new supply in more affordable areas such as International City and Discovery Gardens and therefore rents are likely to remain stable in these communities. According to Cluttons, Dubailand (6,400 units) is likely to see the largest number of apartment completions this year, followed by Jumeirah Village (5,400 units) and Dubai South (3,000 units). Cluttons forecasts that some 51,000 units are expected to be delivered this year, 53,500 in 2019 and 29,400 in 2020. This translates into about 134,000 unit deliveries between now and the end of 2020. Over the same period, the city’s population growth should result in the addition of 77,500 households, as per Cluttons’ calculations. “It is likely that there will be some 20 to 30 per cent deliveries being delayed. Still, the growing mismatch between supply and demand will act as a strong drag on the market,” the report adds. “Of the 134,000 homes in the city’s supply pipeline, circa 42 per cent are priced over Dh1,200 psf, while approximately 35 per cent are priced under Dh800 psf, which is where the majority of demand lies. Inevitably, should the planned supply be delivered according to the announced timelines, there is likely to be an oversupply of luxury homes, which will result in further corrections at the top end of the market. Furthermore, with just 77,500 new households likely to be created over the next 3 years, most will be low-middle income households and many will opt to rent, instead of purchase, due to the transient nature of many residents,” says Faisal Durrani, head of research, Cluttons. “At this point of time there is considerable supply of off-plan, mid-market homes under the Dh1,800 psf mark, causing intense competition among buyers, and as a result, it is becoming evident demand for high-end product priced above Dh1,000 psf is waning. The same could be said for completed stock available for rent – tenants are seeing better value for money and greater levels of availability in the mid-market, rather than high-end price bands, and are either negotiating better rents with current landlords or moving to newly handed over developments with mid-range pricing and a strong focus on community and central amenities,” explains Murray Strang, head of Dubai at Cluttons. The Cluttons report points out that homes priced above Dh2,000 per sqft are seeing a persistent deterioration in values while those priced below Dh1,000 psf remain virtually unchanged, as has been the case for apartments in sub-markets such as International City, Discovery Gardens, IMPZ and Motor City. “The affordability issues gripping the residential market in Dubai continue to be overshadowed by developers’ desire to retain asset books that are full of iconic, luxurious schemes. This focus on high-end homes has meant that the market risks seeing an oversupply of high-end homes, while low to middle income households in the city aspiring to purchase continue to be sidelined,” observes Durrani. On an annual basis to the end of March 2018, across Dubai’s residential investment areas, prices fell by Dh94 psf, driving average prices to 33.9 per cent below their Q3 2008 peak. The Burj Khalifa remains the city’s weakest performer, with values falling by 11 per cent over the last 12 months, leaving them 72.3 per cent lower than the last market high in 2008. Although more affordable areas such as International City and Discovery Gardens stand out as bastions of stability in the face of headwinds for the market, values in these areas are some 30 to 40 per cent lower than they were in Q3 2008. Price sensitivity among buyers will continue to shore up performance of more affordable locations while the top of the market will likely continue to see values ebbing over the next 12 months, according to Cluttons. Values may slip by up to 5 to 7 per cent this year. This trend may persist into 2019, catalysed by the supply pipeline before there is potential for stability in 2020 once the supply pipeline starts to diminish.